Representation, such as a manager or a lawyer, is an essential asset to any recording artist trying to succeed in the music industry. 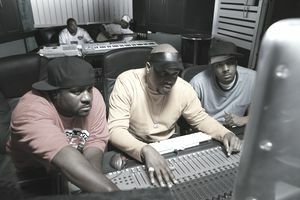 But for the hip-hop beatmaker/producer, whose role is different than that of a typical recording artist, their representation can look different than the traditional performer. Hip hop-rap beatmakers/producers provide beats for other recording artists to write and perform to. Unlike other recording artists, who sell their persona and image to the public just as much as their music, beatmakers/producers sell their music to other recording artists, and they usually do not worry about their persona or image being in the public eye. Instead, their primary concern is pairing their beats with recording artists who need new music. This precarious music-matching process is one reason why beatmakers/producers need to have special representation. They must have someone who can flush out opportunities for music placements; they need someone who can find recording artists and other comparable parties who are seeking new beats. The other reason why a beatmaker/producer needs a representative, especially early on in their career, deals with the compositional method of hip hop/rap beat-making/production itself. Hip-hop beat-making/production is a very meticulous and often arduous craft that is usually orchestrated in a solitary environment. It is this solitary dimension to beatmaking/production that prompts the need for representation. Beatmakers/producers need a representative, someone to pitch and/or broker the sale of their beats. So just as with the music-matching process of the best-selling world, here, it’s easy to see why a representative — or better yet, a “beat broker” — is critical to the chances of beatmaker/producer landing the much sought after placement on a commercial release. Representation is varied, but there are three kinds of representatives that hip hop-rap beatmakers/producers should look for. A beat broker is someone who promotes the beats of a beatmaker/producer. A beat broker can be a friend, a music insider, or anyone that has access to a network of recording artists, in particular, recording artists who are likely to be in the market for new music material. A beat broker’s only responsibility is to shop the beats of the beatmaker/producer that they represent. They need not be skilled in negotiating the terms and sale of the beats that they’re shopping. Because of this limited (but critical) scope, an agreement between a beat broker and beatmaker/producer can be rather simple, straightforward, and short in duration. A beat broker can be commissioned for a 10-percent finder’s fee, worked out over a per beat or per situation agreement. A producer manager is perhaps the most ubiquitous (and undefined) kind of representative that a beatmaker/producer can have. Normally, a manager is someone who manages the entire career of a client. For a beatmaker, a producer managers responsibilities can fall anywhere from simply shopping beats to negotiating the terms of beat sales, to arranging pivotal meetings with prospective beat buyers, to setting upbeat showcase meetings with key decision makers at record labels. But because of the scope of a manager’s role, it is likely that a beatmaker/producer will have to enter into a more lengthy and more detailed agreement than they would with a beat broker. Shopping the beats of a beatmaker/producer is not the primary role of a lawyer; though in some limited cases, lawyers do indeed pass on the music of their clients. Lawyers are mostly responsible for drafting or reviewing the legal agreements that their clients enter. It is in this capacity that lawyers can ultimately be more important than beat brokers and managers. What Kind of Representation Is Right for You? Though the kind of representation that you choose depends on your individual situation, most beatmakers/producers only need a lawyer, and at times a beat broker, but not a producer manager. Beatmakers/producers are already self-contained and usually very organized; their careers depend primarily on servicing the musical needs of other recording artists rather than performing themselves. Furthermore, given the nature of the general openness of the beat shopping process itself, it’s not terribly important who gets the beats into the hands of decision makers. In fact, increasingly, recording artists are accepting beat/instrumental submissions through other outlets, namely email, social networking sites, and national contests. Moreover, it’s important to keep in mind that once you sign with a producer manager, they are entitled to a 20-percent cut of all the music-related revenue you earn. Typically, the representation period will last two years or more. As your career grows, however, and as you become a more sizeable figure in the recording industry, then it may indeed be not only advantageous but necessary for you to get a manager, mainly because you will be eligible for opportunities outside of selling beats to other recording artists. Do You Need a Producer-Manager? It’s important to point out that hip hop-rap beat-making/production is a relatively new and rather unique phenomenon in the recording industry. As a result, many recording artists are still trying to navigate their way through the current model. Though a producer manager can help a beatmaker/producer gain exposure early on, it’s important to remember that once a beatmaker/producer is established on any significant level, the task of successfully shopping their beats themselves actually becomes rather easy. In fact, should you reach a point of acclaim, people interested in your brand of beats will often reach out to you. If you’re a beatmaker/producer just starting out, the question of whether or not to go with a producer-manager is really a question of exposure. If you feel that the exposure a producer manager can get you is above and beyond what a beat broker can provide, then a producer-manager might be the way to go. Just make sure that the producer manager’s responsibilities and obligations are well-defined in writing. It’s also a good idea to include benchmarks (set goals) within the language of any agreement that you enter into with a producer-manager. But before you commit to an agreement with a producer manager, remember this: savvy beat brokers are more likely to go to better industry parties than producer-managers.